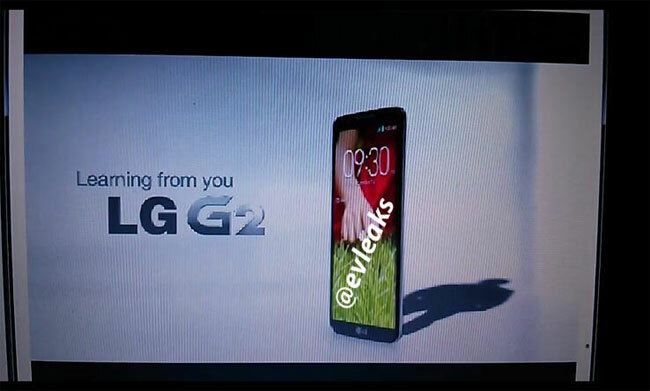 LG are rumored to be announcing the new LG G2 Android smartphone at a press event on the 7th of August, LG have already teased the handset and now it would appear that we may have some actual photos of the device. 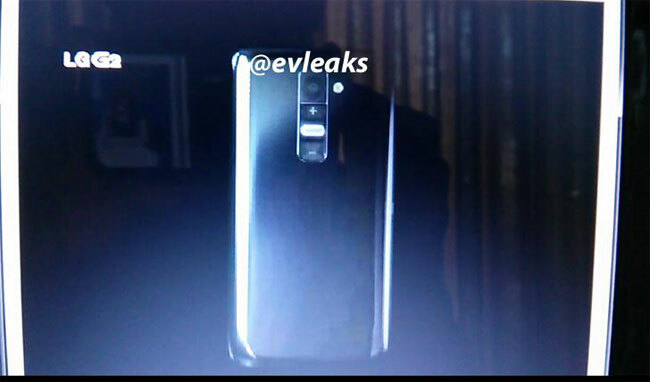 The photos below were posted on Twitter by @evleaks, and were apparently taken from a presentation for the LG G2, the handset is rumored to come with a 5 inch display. The 5 inch display on the LG G2 will be a full HD display with a resolution of 1920 x 1080 pixels, the device is also rumored to feature the new Qualcomm Snapdragon 800 processor and will apparently come with Android 4.2.2. Jelly Bean, plus 2GB of RAM and a 13 megapixel camera.